Planning to purchase a new home in Edmonton? Click here to find out why you should definitely invest in homeowners title insurance to avoid any issues. Real estate involves various legal issues that aren't always presented well in the home buying process. Title insurance is one of these issues and it's important not only to know what it is but also how it works and what it's for. Many people buy title insurance without knowing what it covers. Or, they don't buy it because they don't know what it covers. These are both heavy mistakes on the homeowner's part not to have done their homework prior to closing. Purchasing title insurance is easy and it's relatively inexpensive even for a high dollar home. All you have to do is talk to your real estate agent and/or mortgage broker or lender about adding a policy to your mortgage. In this article, we're discussing some of the key things to consider when deciding whether or not to purchase homeowners title insurance. Keep reading to learn more. Unfortunately, there are people in the world that are extremely skilled in fraudulent real estate transactions. These fraudsters use stolen identities, carefully crafted documentation, and impersonate homeowners to obtain mortgage financing. They use your existing mortgage and/or property as security against a new loan and then walk away. Often times, people aren't even aware they've fallen victim to fraud until they begin receiving late payment notices in the mail. A fraud policy within your homeowners' title insurance policy can help protect you and your home and mortgage. Your insurance policy can cover loss suffered from the invalidity of a mortgage. Don't think it can't happen to you. A simple mistake on the part of the surveyor that mapped your property or a clerical error can affect the deed or survey of your property. This can cause financial strain when it comes time to resolve the issue. Title insurance is especially handy for this purpose because mistakes are bound to happen. To err is human after all. Easements may prevent you from enjoying your property for its full effect because the government and other parties may have access to it at any time. Usually, you won't have to pay much to resolve easement issues but it's important to take care of it as soon as the problem is found. An unresolved easement issue can quickly become a loss of property including aesthetics and value. 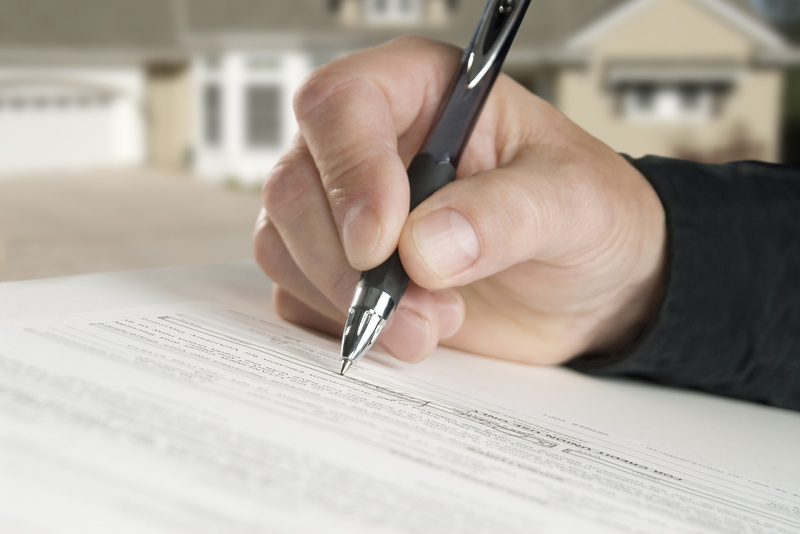 When you purchase a home you can't know whether a lien will be placed on it after you close. If something comes up prior to closing, it should be easy to resolve or you just don't have to buy the house. But if a lien shows up on your property and you don't have title insurance, you could be in a world of hurt. Homeowners title insurance will protect you from unknown liens and even illegal deeds that may be hidden in your property's title history. What if your neighbor decides to build a fence or even addition to their home and it encroaches on your property? You're liable for costs involved in the defense of that case. With homeowners title insurance you can rest assured that your title insurer will cover these costs. Generally, the insurer will state these costs are up to the policy's maximum stated amount, so you'll want to make sure you know your limits. Title insurance will also protect you in the event that someone challenges your title. Many people aren't aware of a specific clause within a title insurance policy that states coverage for building compliances. What this means is that you can be compensated for renovations performed that were required to bring a home to building code regulations. This clause only covers renovations on existing structures that were added to a home but it could come in handy. It's important to confirm your specific coverage with the title insurer before you begin renovations to know what you're actually covered for. Insurers can limit coverage in some areas. Sometimes lawyers make mistakes during the buying process which can cost you money. Instead of dealing with the hassle of suing your lawyer to get your money back, you can include legal services coverage in your homeowners' title insurance policy. This is an optional feature that will rectify errors and reimburse you for any losses incurred. It is highly recommended to add this feature to your policy because all real estate transactions are also legal transactions. Protect yourself from unnecessary surprises that could crop up as a result of negligence or simple error. Another optional feature on your homeowners' title insurance policy is identity theft protection. Just as with mortgage and real estate fraud, there are criminals that want your identity. If they get a hold of your title they can open accounts and credit cards in your name which will destroy your credit rating. Identity theft protection ensures that your costs are covered in the event that you are forced to defend and restore your credit. You'll also be covered for losses pursued against you from creditors and maybe even reimbursement for lost wages pertaining to the process. Regardless of your reasoning for buying homeowners title insurance, it's a good idea. This simple and inexpensive purchase can save you thousands of dollars in unexpected costs if something goes wrong. It can't hurt to be prepared. Title insurance is growing in popularity and some insurers can offer both buyer and lender coverage under the same policy. Make sure to read the fine print and talk to your real estate agent if you have any questions before you close on the sale of your new home. If you're purchasing title insurance on an existing home, it can't hurt to get a second opinion or fresh set of eyes on the policy before you sign. If you still have questions or you're in the process of obtaining title insurance, contact us. We specialize in Real Estate Law. This entry was posted in Homeowners Title Insurance by verhaeghelaw. Bookmark the permalink.